Geeksdanz’s mission is to introduce dance to audiences that would not normally be drawn to it, and to illustrate the universality of dance as a means of emotional expression. 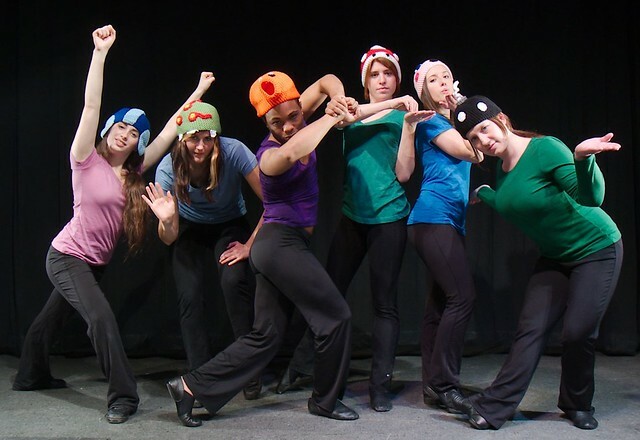 Geeksdanz achieves this by systematically applying the context of dance to an enormous variety of topics and interests, and targeting performances towards the specific audiences who share those interests. The common definition of the word “geek” is very scientifically- and technologically-focused, usually referring specifically to someone who works with computers, but for me the definition of “geek” is quite broad. To me, a “geek” is defined by a passionate and emotional interest in a topic, often to near-obsessive levels. The topic in question can be anything, from a foreign culture or aspect of a foreign culture (such as Japanese calligraphy, German poetry, or Bulgarian folk dance) to a hobby or activity (such as gardening, model-railroading, or parkour), to an academic subject (such as physics, anthropology, or Norse mythology) and beyond. As for me, I consider myself a “dance geek,” particularly regarding how dance can be found in everything else in the world. Whether it’s the spatial interactions in molecular physics, the momentum of Washington politics, or the patterns of your fingers when using the latest techno-gadget, dance is everywhere—if you know how to look for it. And that is Geeksdanz’s mission—to show audiences how to see dance in their own interests by presenting specific examples.